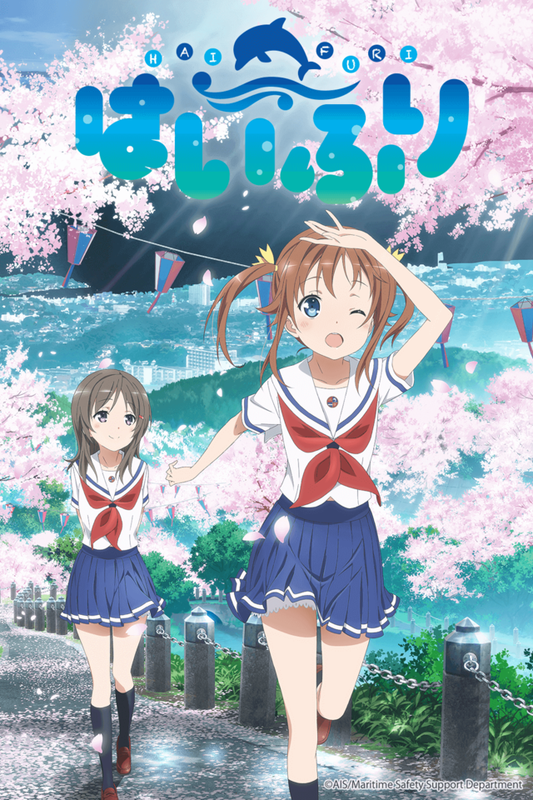 Crunchyroll - Forum - Spring 2016 Show Announcements! For our last update of the day, we are excited to announce that ADDITIONAL TERRITORIES have come to some of our new Spring 2016 shows! RIN-NE Season 2 is now also available in the United Kingdom, Ireland, and Scandinavia. 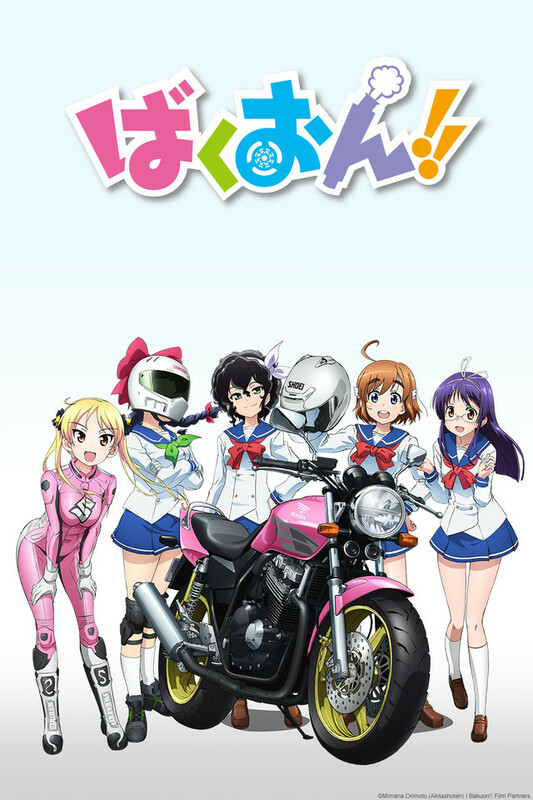 BAKUON!! in now available in Spain and Portugal. Haven’t You Heard? I’m Sakamoto is also now available in Spain and Portugal! 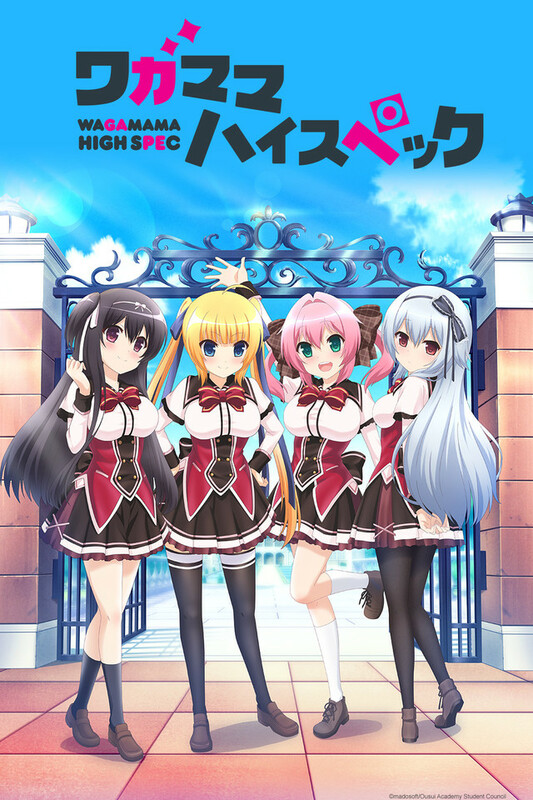 Next up it's Wagamama High Spec, based off of the visual novel of the same name, launching on Crunchyroll starting April 11 at 10:30am for members worldwide except for: Japan, Mainland China, Hong Kong, Macau and Taiwan. 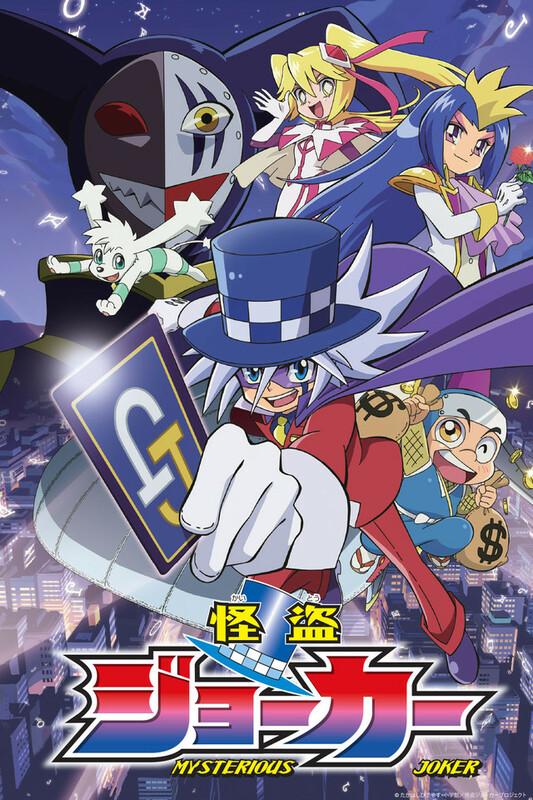 Announcements just keep coming today as the Teekyu spin-off Usakame arrives starting April 11 at 10:30am Pacific Time in the following territories: USA, Canada, Latin America (Central and South America including Caribbean), United Kingdom, Ireland, South Africa, Australia, New Zealand, Denmark, Finland, Netherlands, Norway, Sweden. 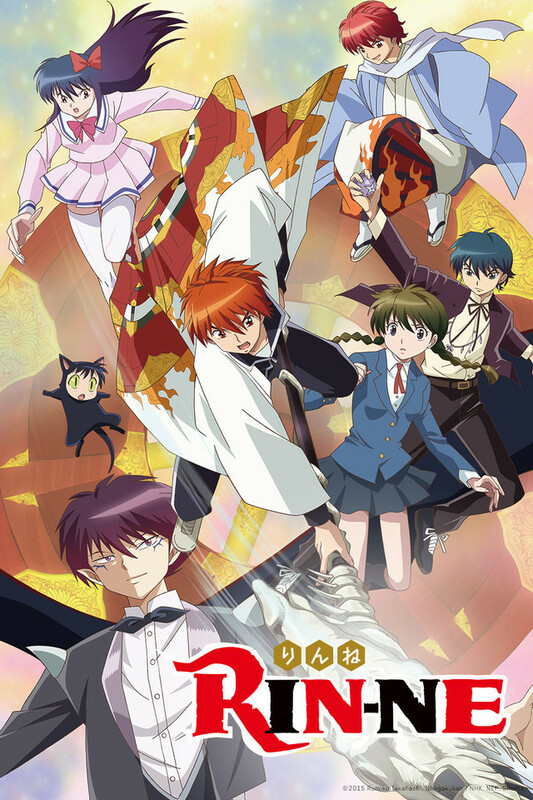 Next up we have the second season of RIN-NE comes to Crunchyroll starting Saturday, April 9 at 4am Pacific Time for users in the following territories: USA, Canada, Australia, New Zealand, and Latin America. 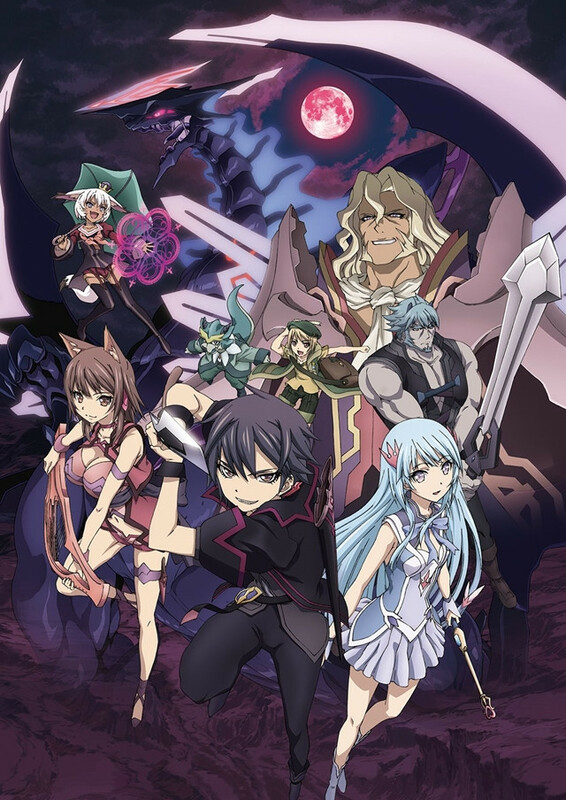 The second season of the supernatural comedy series returns, based on the original manga by Rumiko Takahashi of Inuyasha fame, and being produced by Brain’s Base, whose other works include My Little Monster and Baccano! 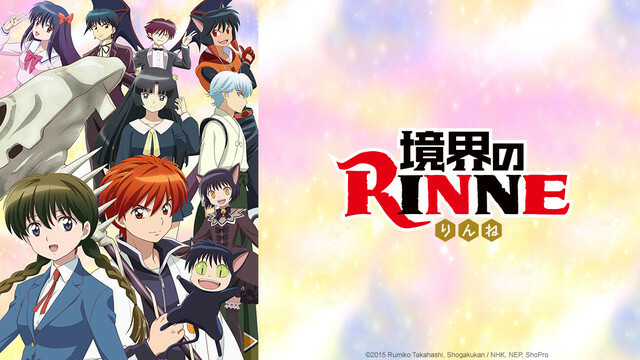 Penniless half-human, half-shinigami-kind-of-thing Rinne Rokudo manages to scrape together just enough money to survive as he continues his work, leading lost spirits to the Wheel of Reincarnation. Aided by the forever blunt Sakura Mamiya and an entourage of ridiculous “friends,” Rinne has his work cut out for him as he encounters new allies and enemies, while still dealing with his nearly crippling poverty! 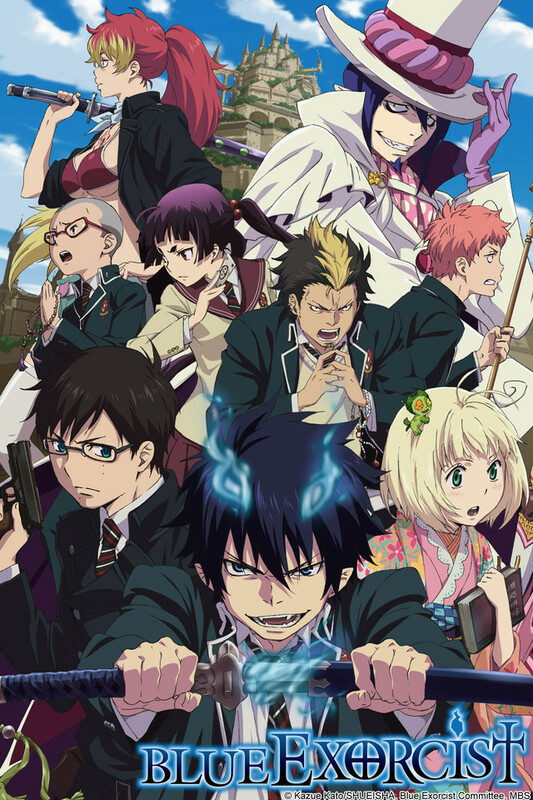 We've got a whole slew of announcements today as the Blue Exorcist Dub comes to the Crunchyroll catalog for Crunchyroll users in the US and Canada. All episodes are available NOW! Assiah, the realm of humans, and Gehenna, the realm of demons. Normally, these two dimensions would never intersect, but the demons are now intruding on the material world. 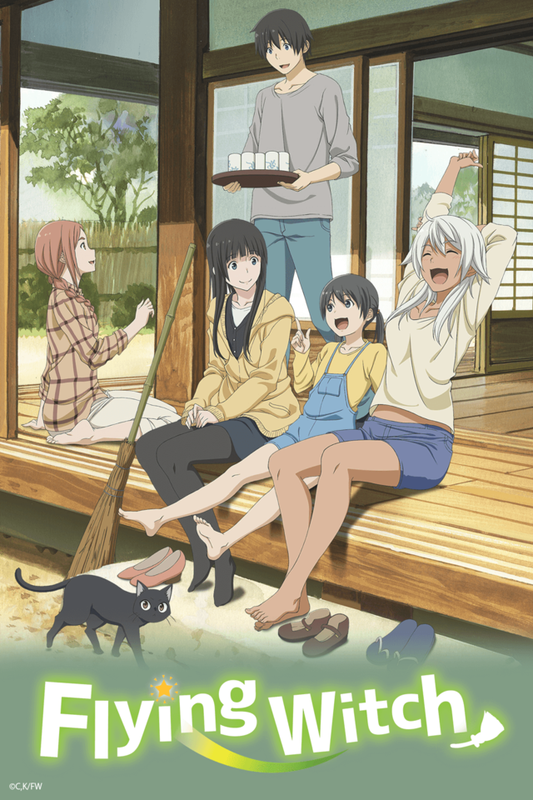 Next up on today's announcements is Flying Witch which will premiere Saturdays starting April 9th @ 12:30PM PST and will be available to Crunchyroll Members in the following territories: United States, Canada, Central and South America (including the Caribbean), Australia and New Zealand, South Africa, Europe, the Middle East, and North Africa. We'll be back with more announcements! 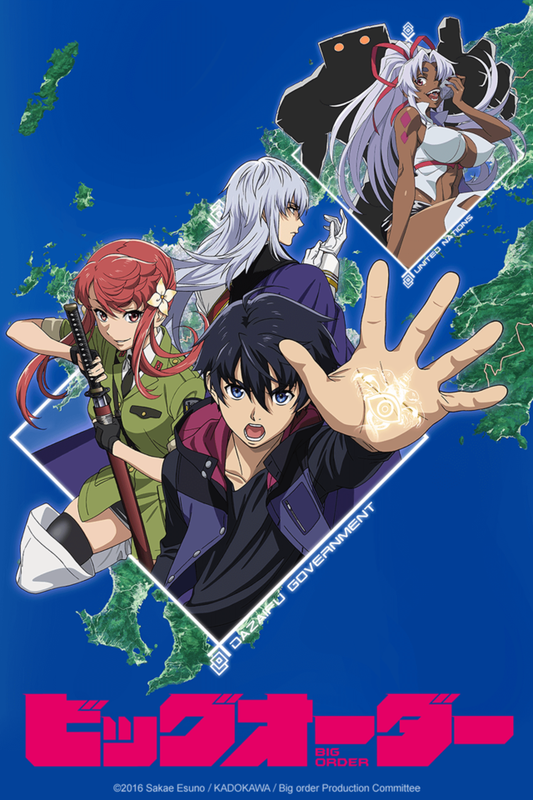 First up on today's announcements is BIG ORDER which will premiere Fridays starting April 15th @ 11AM PST and will be available to Crunchyroll Members worldwide excluding Asia. This is a story that begins after the world ends. One day, a new student transfers to the school attended by the story's protagonist, Hoshimiya Eiji. She's an attractive girl named Kurenai Rin, and Eiji immediately wants to get closer to her. Then, as Eiji is on his way home from school, who should appear behind him but the new student, Rin?! The latest work by Esuno Sakae, the author of Mirai Nikki, is finally getting an anime! For our third announcement of the day, get ready for Tonkatsu DJ Agetaro launching on Crunchyroll Sunday April 10, @ 8:45am Pacific Time for Crunchyroll members in the following territories: U.S.A., Canada, United Kingdom, Ireland, Australia, New Zealand, South Africa, Sweden, Denmark, Norway, Finland, Iceland, Netherlands, Latin America (Central and South America including Caribbean), Germany and German Speaking Europe. The 3rd generation owner of a pork cutlet store Agetaro Katsumata discovers a similarity between pork cutlet stores and DJs in clubs. Discovering the similarity of the completely different two, he aims to become the master of both a DJ and a pork cutlet store! 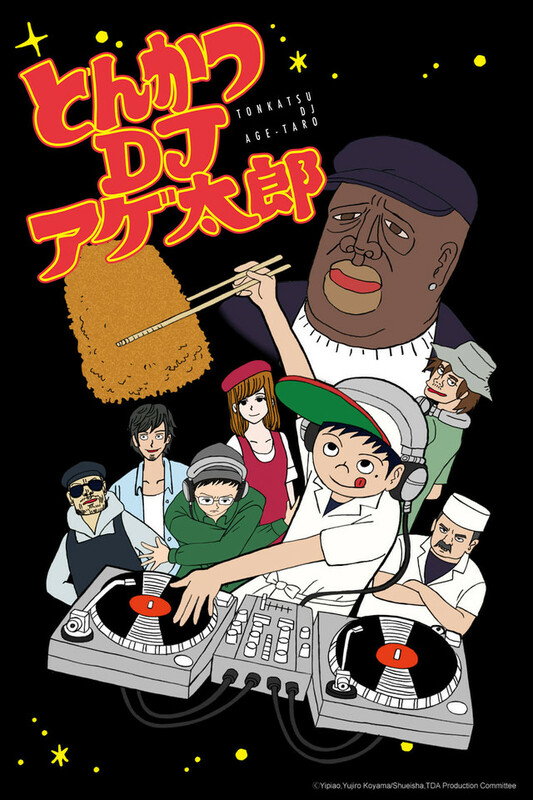 The anime depicts pork cutlets, club culture, DJs and the urban life of Shibuya! The animation directed by Akitaro Daichi a gag expert and music done by the rising new star in the DJ world MU-STAR GROUP! With the extreme detail in both picture and music, the anime shows it’s “COOL”. Our second announcement for today is Haifuri, launching on Saturday, April 9, at 9:30am PT for Crunchyroll members in the following territories: North America, Central America, South America, UK, Ireland, Australia, and New Zealand. Good Morning and Happy Hump day everyone, as our first announcement of the day is none other than Haven't You Heard? 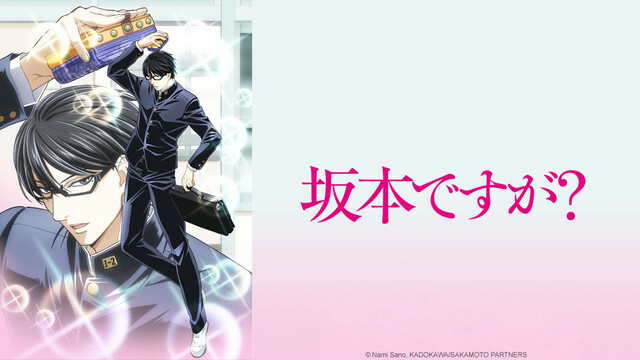 I'm Sakamoto, coming to Crunchyroll starting Friday, April 8 at 10pm Pacific Time for members in the following territories: USA, Canada, Latin America, Scandinavia, South Africa, Turkey, the Middle East and North Africa, Russia, Belarus, Kazakhstan, Kyrgyzstan, Ukraine, Moldova, Tajikistan, Turkmenistan, Uzbekistan, Armenia, and Azerbaijan. Based off the manga Sakamoto desu ga? by Nami Sano, it won the 2013 Comic Natalie Grand Prize, with volume 1 being the number one on the Book of the Year list of Male-Oriented Comics from January to June 2013 by Da Vinci magazine. The anime will be animated by Studio DEEN, with Shinji Takamatsu, known for his previous work on Gintama, directing the series. Sakamoto is not a normal high schooler. He’s smart, he’s dashing, he’s popular with girls. Much to the dislike of the male population of his school, who tries every trick in the book to mess Sakamoto up. But in the end, Sakamoto comes out of every trap with style and makes himself look cooler. Does he do this for popularity? Is this just who he is? No one really knows, but haven’t you heard? He’s Sakamoto! 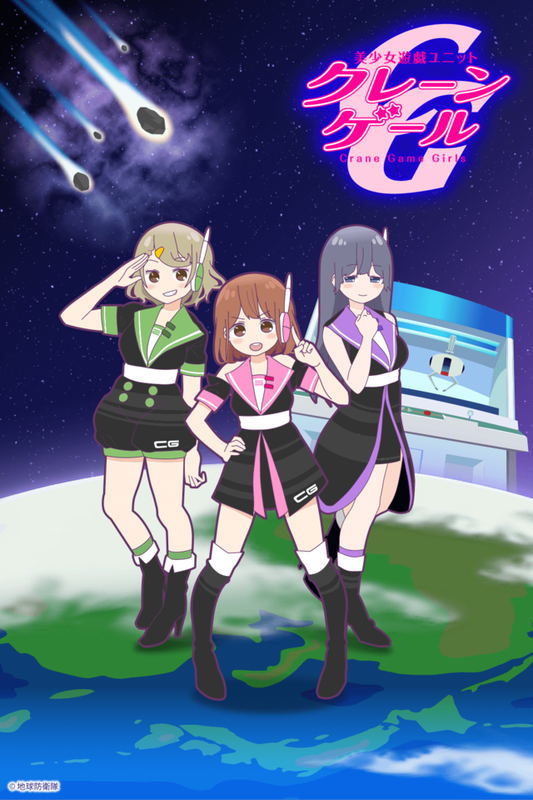 For our last announcement today, we have Crane Game Girls joining the Crunchyroll lineup starting Wednesday, April 6th @ 8:30am PT for Crunchyroll members in the following territories: U.S.A., Canada, United Kingdom, Ireland, Australia, New Zealand, South Africa, Sweden, Denmark, Norway, Finland, Iceland, Netherlands, Latin America (Central and South America including Caribbean). Animated by Kyotoma animation studio, each episode will feature both an animated section, as well as a live-action segment where the cast play arcade crane games! 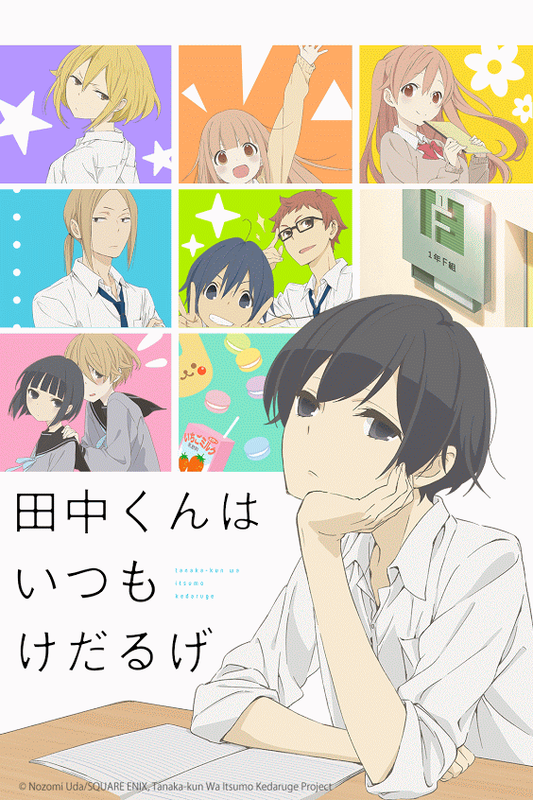 Good morning everyone, and our announcement this morning is probably reflective of how some of you feel right now, as Tanaka-kun is Always Listless joins the Crunchyroll Spring 2016 Lineup! Tanaka-kun is Always Listless will be available starting Saturday, April 9 at 7am Pacific Time for Crunchyroll members in the following territories: USA, Canada, UK, Ireland, Australia, New Zealand, Scandinavia, the Netherlands, Turkey, and Latin America. Based off of the manga Tanaka-kun wa Itsumo Kedaruge by Nozomi Uda, the anime adaptation is being produced by SILVER LINK, the same studio behind Non Non Biyori and WATAMOTE ~No Matter How I Look at It, It’s You Guys Fault I’m Not Popular!~. Shinya Kawatsura, who also worked on Non Non Biyori, will be directing the series as well. Adapted from the popular web manga series published by Square Enix, this unconventional, surrealist comedy follows an exhausted high school boy who, despite multiple attempts from his friends, still manages to spectacularly… sleep. Much to the chagrin of the energetic (at times bossy) Ohta, Tanaka is often found in a blissful state of lethargy, possessing the ability to doze off in any situation, especially in mid-sentence! Don't forget to stay tuned for more announcements about our Spring 2016 Lineup! Today's final announcement is Shonen Ashibe GO! GO! Goma-chan which premieres Tuesdays starting April 5th @ 4AM PST and will be available to Crunchyroll Premium Members worldwide excluding Asia. A comedy manga, "Shonen Ashibe," that follows the friendship between baby spotted seal Goma-chan and first-grade student Ashiya Ashibe. 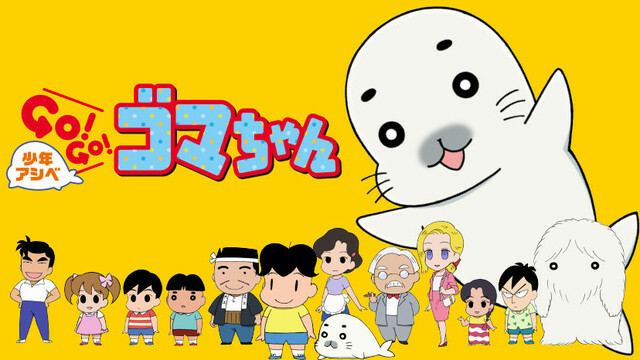 First serialized in 1988 and adapted to anime in 1991, the adorable Goma-chan created a massive following and a spotted seal boom. This spring, Goma-chan returns to "Tentere Anime." A cute, pleasant story of Ashibe and Goma-chan and their unusual school and their neighbors. Sometimes endearing, sometimes bizarre, it's a fun anime for the whole family! We'll be back tomorrow with more Spring announcements! We've got a few announcements coming today, starting with Cerberus premiering TODAY, April 4th @ 11:15AM PST! 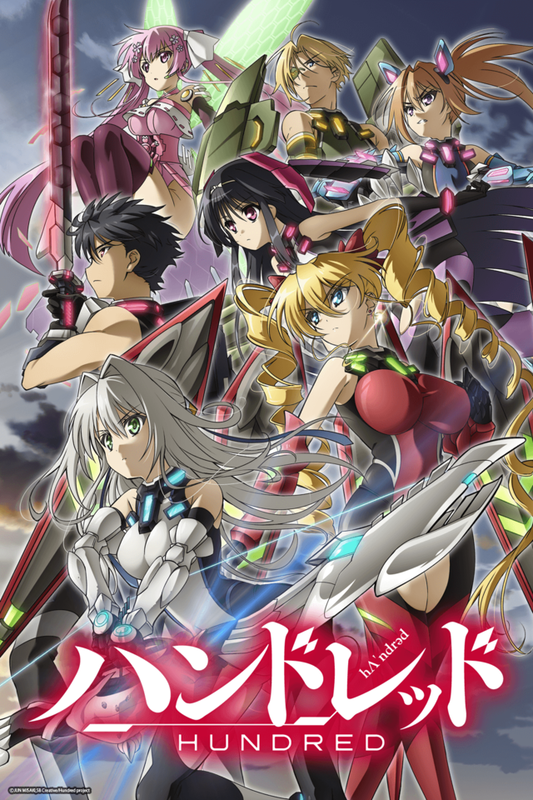 and will be available to Crunchyroll Members worldwide excluding Asia. We'll be back at 1PM PST with another announcement! Next up on today's announcements is BAKUON!! 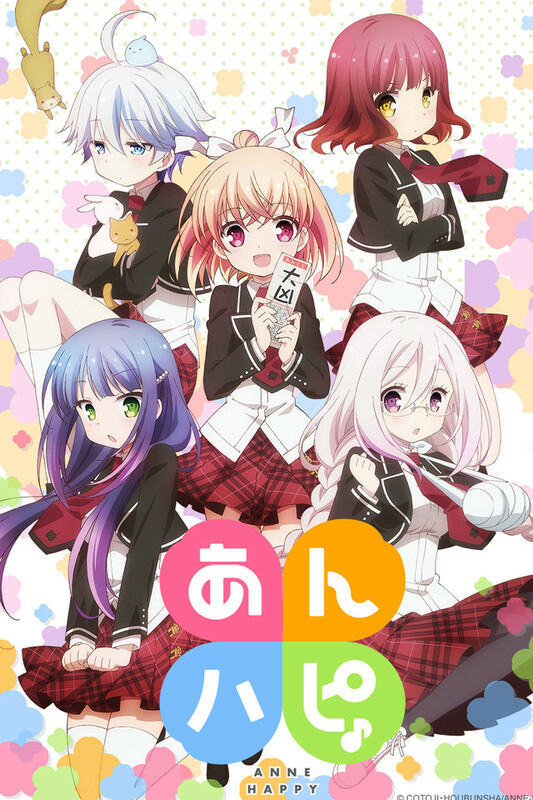 premiering Mondays starting TOMORROW, April 4th @ 9:00AM PST and will be available to Crunchyroll Members in the following territories: USA, Canada, UK, Ireland, South Africa, the Netherlands, Scandinavia, and Turkey. We'll be back tomorrow at 9:30AM PST with another announcement! Weekend announcements coming your way starting with JOKER season 3 airing TOMORROW, April 4th @ 4:30AM PST, available to Crunchyroll Members worldwide excluding Asia and Italian speaking territories. We'll be back at 7:30PM PST with another announcement! One last announcement for today! Episode 0 of KIZNAIVER will be available TOMORROW, April 2nd @ 9:30AM PST for only one week to Crunchyroll Members worldwide excluding Asia and French and German speaking Europe. Please note, these are the final territories for KIZNAIVER. Join the Japanese cast of KIZNIAVER as they talk about their experiences and thoughts about voicing their characters, as well as catch a sneak peek of the animation! We'll be back this weekend with more announcements! Here's our last announcement of today! Pan de Peace! is coming to Crunchyroll Members worldwide excluding Asia. Time TBA. Based on a 4-panel manga by Emily, Pan de Peace! 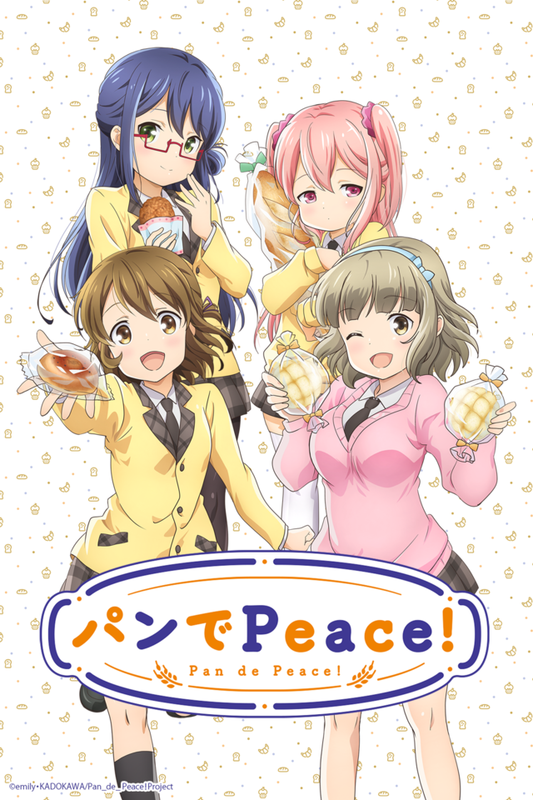 focuses on the bread-loving girl Minami, who is starting high school and loves to eat bread for breakfast, along with her friends Yuu, Fuyumi, and Noa. Stay tuned for more Spring season announcements soon! We're back with our third announcement of the day! 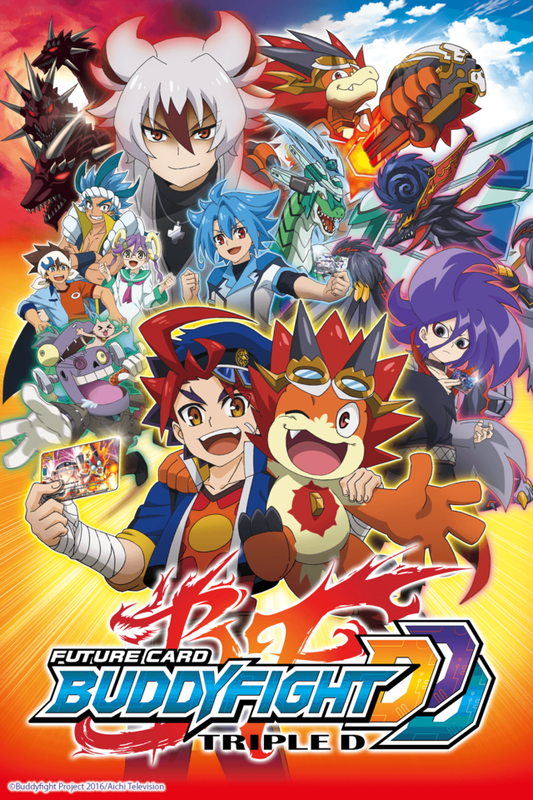 Future Card Buddyfight Triple D will premiere Fridays starting TODAY, April 1st @ 4:30PM PST and will be available to Crunchyroll Members worldwide excluding Japan, Malaysia, and Singapore. Meanwhile, evil-doers are aiming to acquire Bal's special abilities. Kyoya Gaen, and his buddy monster Demonic Demise Dragon, Azi Dahaka are up to no good. 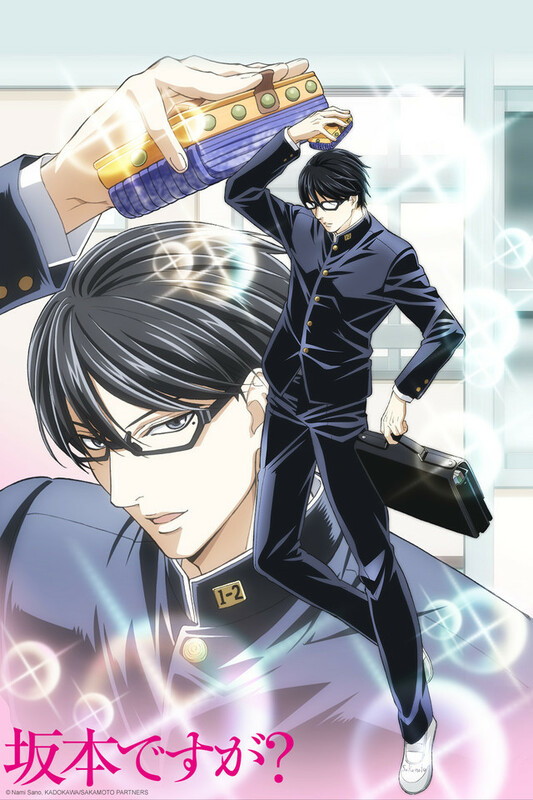 Kyoya is already one of Japan's richest icons and is also rumored to be one of the strongest Buddyfighters in the world. What could they possibly be aiming for? And why are they seeking this "Ultimate Dragon Power”? With the passionate shout of an impact call, let the power of the impact monsters be known! Now let's raise the flag! We'll be back later today with more announcements! We're back with another very exciting announcement! 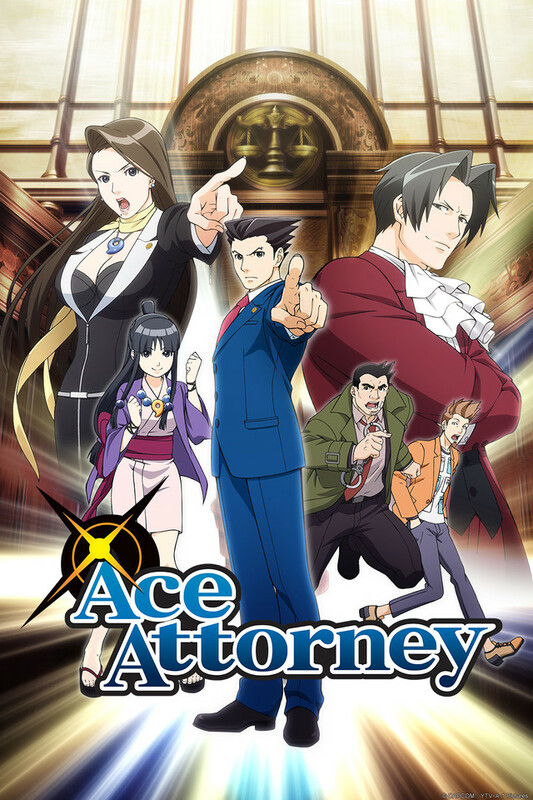 Ace Attorney will be premiering Saturdays starting April 2nd @ 4AM PST and will be available to Crunchyroll Members worldwide excluding Asia. We'll be back later with more announcements! We're back with another Spring season announcement! 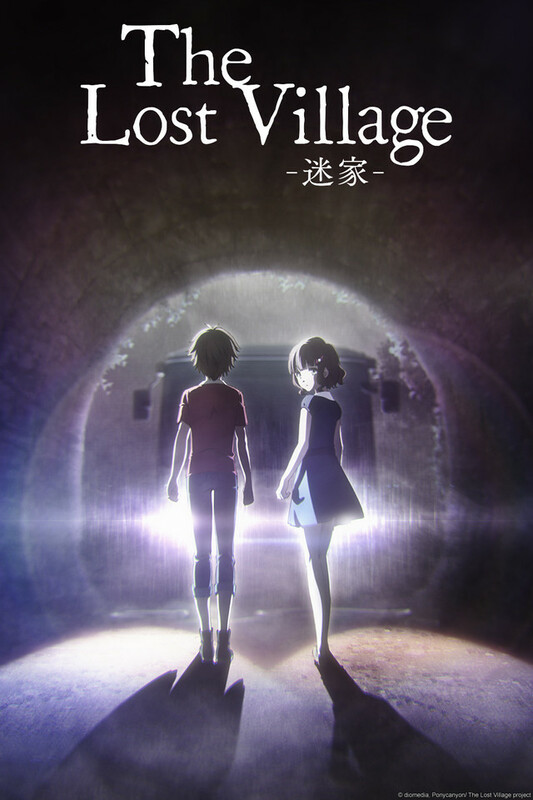 Our first announcement of the day is The Lost Village, airing Fridays starting TODAY, April 1st @ 6:30PM PST, and available to Crunchyroll Members worldwide excluding Asia. "In despair over the real world ... wanting to escape the tedious daily life … wanting to restart your life from scratch…"
We'll be back at 1PM PST today with another exciting announcement! We’ve got a super special announcement right now, as Sailor Moon Crystal returns to Crunchyroll this April! 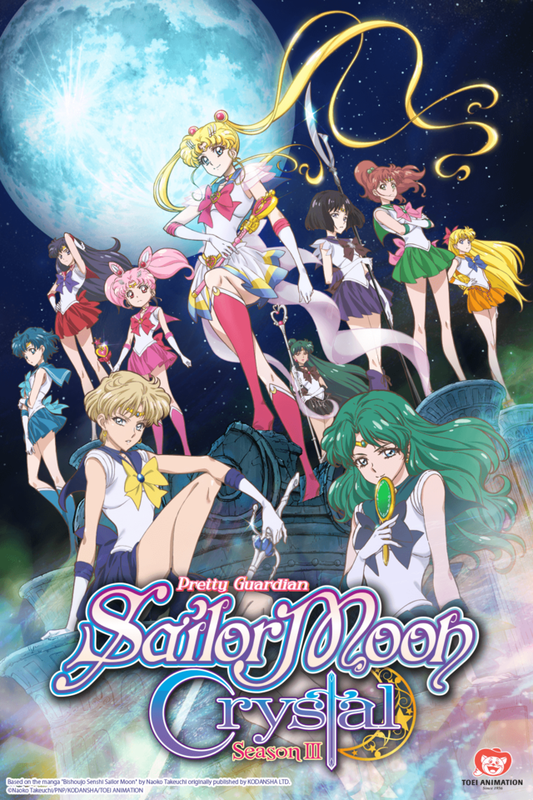 Sailor Moon Crystal Season 3 will be available to Crunchyroll members in the following territories: US, Canada, South Africa, Australia, New Zealand, Latin America, Central and South America (including the Caribbean. Be sure to check back tomorrow as we continue to announce more new titles coming to Crunchyroll this Spring! For those of you eagerly anticipating the end of God Eater, wait no more! 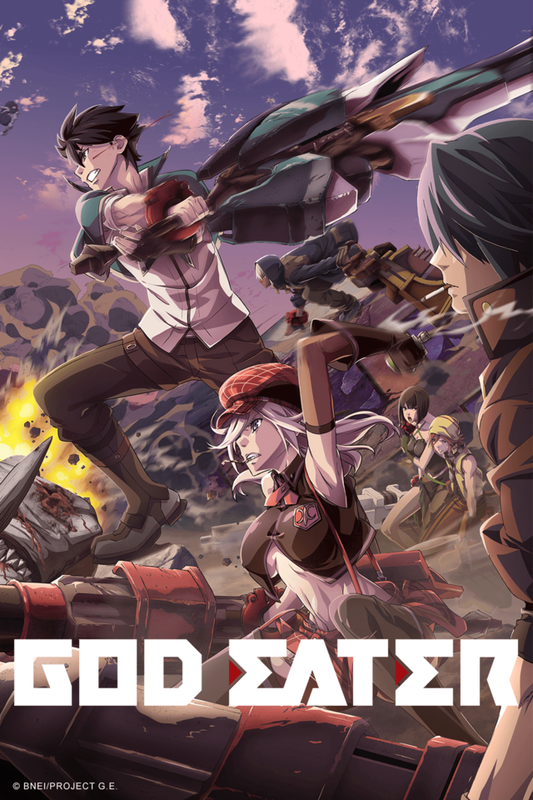 Episodes 10-13 of God Eater will be continuing on Crunchyroll starting Monday, April 4 at 2:30am PT for members in the following territories: North America, Central and South America, UK, Ireland. We've got a surprise last minute announcement! Episode 1 of 5 of BROTHERHOOD FINAL FANTASY XV is live NOW and available to Crunchyroll Members worldwide excluding Japan, China, French-speaking territories and German-speaking territories. 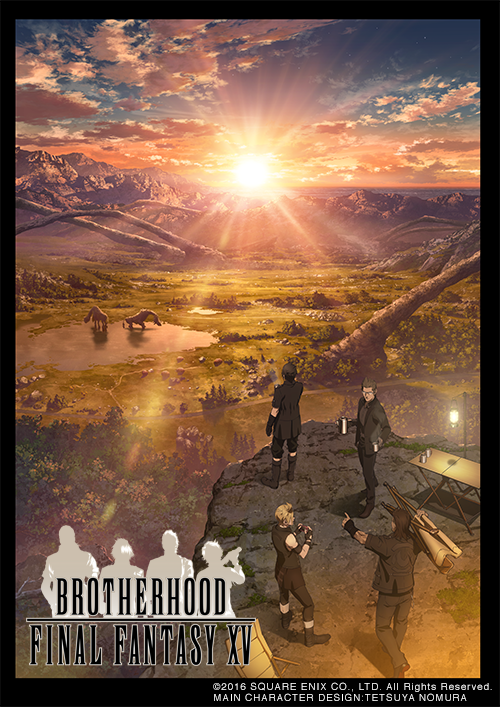 BROTHERHOOD FINAL FANTASY XV is a new anime series consisting of five standalone episodes. BROTHERHOOD delves into the extraordinary friendships between Crown Prince Noctis and his three comrades, setting the stage for the adventure players will set out upon in the action-packed RPG. Check it out NOW and be sure to stay tuned for more announcements! We're keeping our Spring season announcements going with one we're SUPER excited for! MOBILE SUIT GUNDAM UNICORN RE:0096 is premiering Saturdays, starting April 2nd @ 3:30PM PST, and will be avilable to Crunchyroll Members worldwide excluding Asia. A new era begins with the settlement of space. But as the ceremonial transition from the A.D. to the U.C. (Universal Century) era is in progress, the space station Laplace, official residence of the Earth Federation prime minister, is shattered by a terrorist bombing. A young man named Syam, who joined the terrorists because of poverty, is caught in the explosion of Laplace and discovers something amid the wreckage. This is the forbidden box that will later be known as Laplace's Box. Three years have passed since Char's Rebellion. On the surface, it appears that tranquility has returned to a world which has been troubled by conflict ever since the One Year War. Banagher Links, a boy living at the manufacturing colony Industrial 7, meets a mysterious girl who calls herself Audrey Burne. Audrey has taken independent action to stop the Vist Foundation from handing over Laplace's Box to the Neo Zeon remnants known as the Sleeves, and Banagher decides to help her. But the colony becomes a battlefield as fighting breaks out between the Sleeves and the Earth Federation Forces, who have also come to prevent the handover. 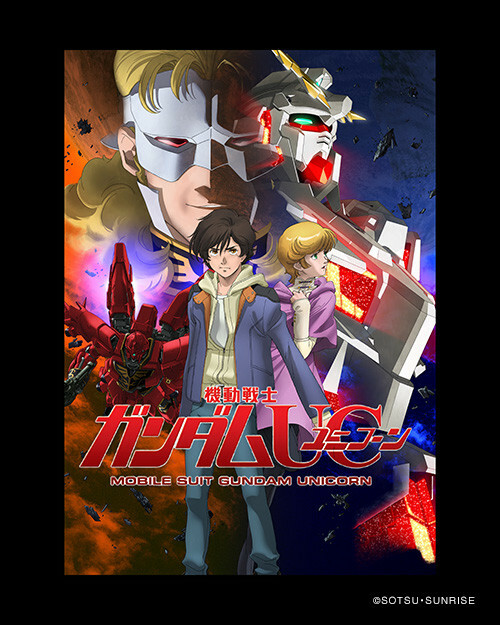 As Banagher runs through the battle in search of Audrey, he has a fateful encounter with a white mobile suit, the Unicorn Gundam, which is the key to Laplace's Box. What secret does the Box contain? In other announcement news, don't forget that the KIZNAIVER manga is also NOW AVAILABLE on Crunchyroll manga! 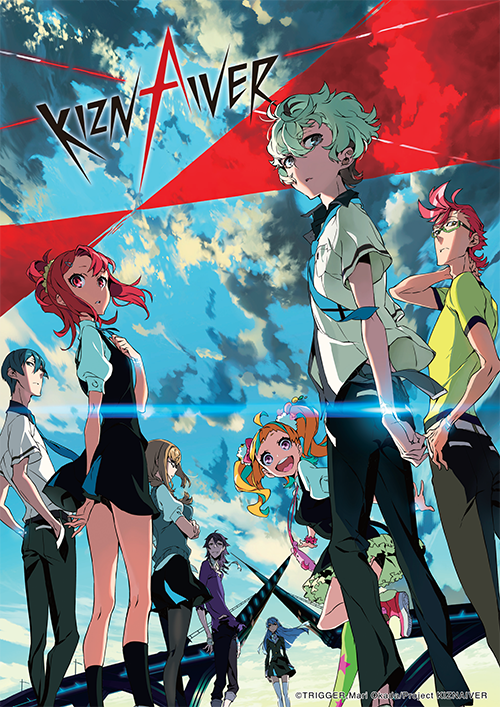 The comic version of the original animation, "KIZNAIVER," written by Mari Okada, who wrote many popular series such as "ANOHANA: THE FLOWER WE SAW THAT DAY" and produced by TRIGGER, who garnered attention with "KILL LA KILL." Agata Katsuhira, a high school student who doesn't feel pain, one day is picked to be a member of a group that shares pain, KIZNAIVER. What do the gathered students all have in common? A story about bonds created through wounds. A story about youth that breaks all of the rules, of boys and girls sharing their "pain" starts now! Read the original story before the anime even airs! 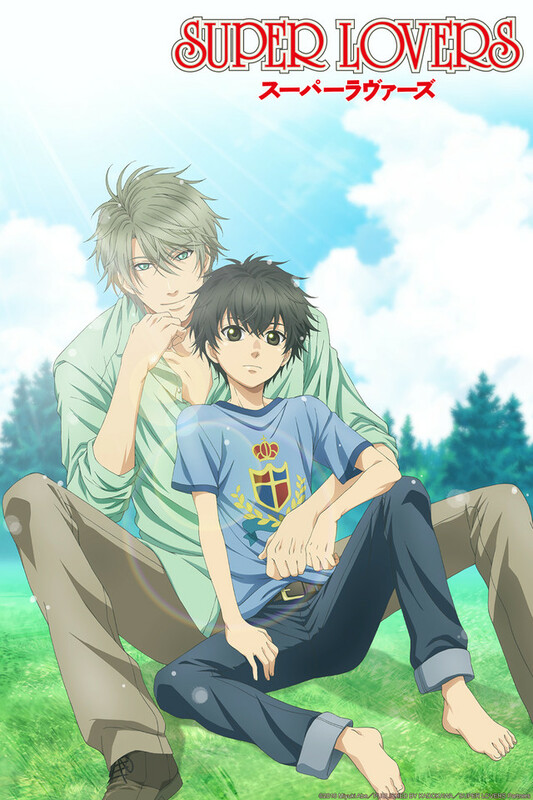 Our second announcement of the day is none other than the shounen-ai series, SUPER LOVERS, airing Wednesday, April 6 at 11:05am PT for Crunchyroll users worldwide except for Asia. More titles are coming your way to Crunchyroll, so be sure to check back tomorrow to see what's next! We've got 2 more announcements coming today, starting with one of the season's most anticipated titles, Bungo Stray Dogs! 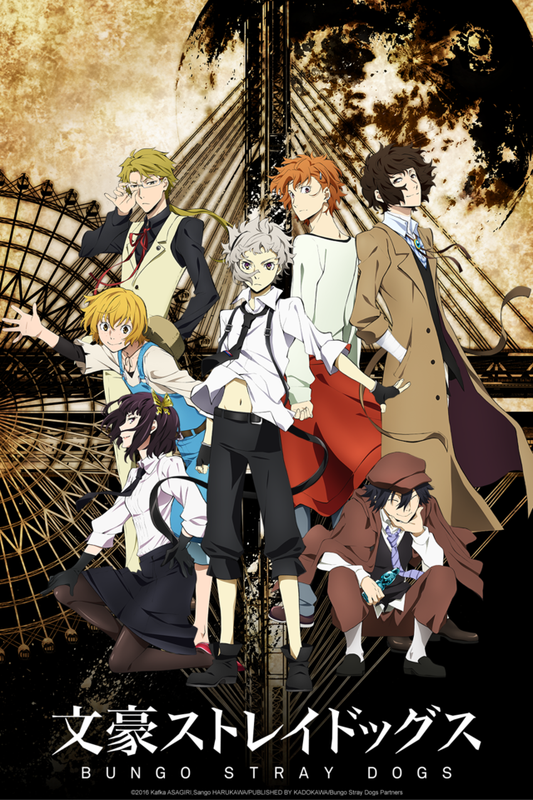 Bungo Stray Dogs will be premiering on Crunchyroll starting Wednesday, April 6 at 10:35am PT for Crunchyroll members worldwide except for Asia. We've got another announcement at 1pm today, so be sure to check back for what's coming next! 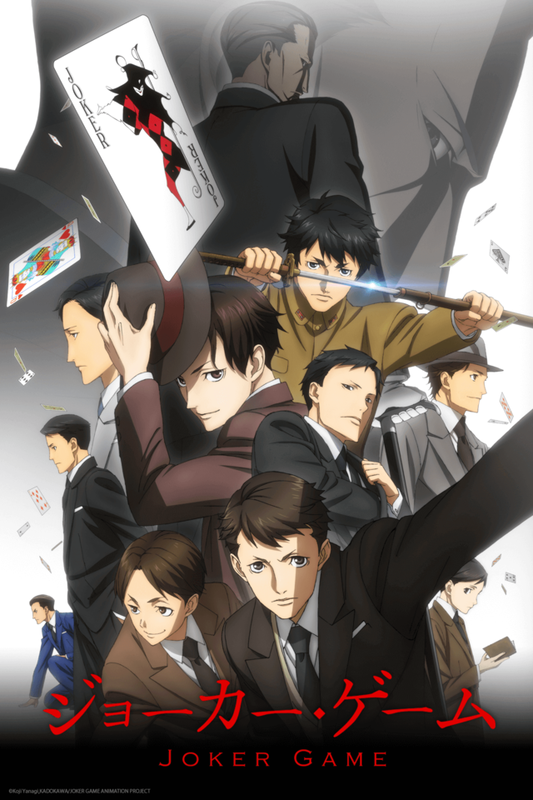 Our last announcement of today is JOKER GAME, premiering Tuesdays starting April 5th @ 10:00AM PST and will be available to Crunchyroll Members worldwide excluding Asia. We’ll be back with more announcements! More Spring show announcements!!! First up for today we’ve got KAGEWANI -II- which is premiering April 1st (time TBA) and will be available to Crunchyroll Members worldwide excluding Asia. 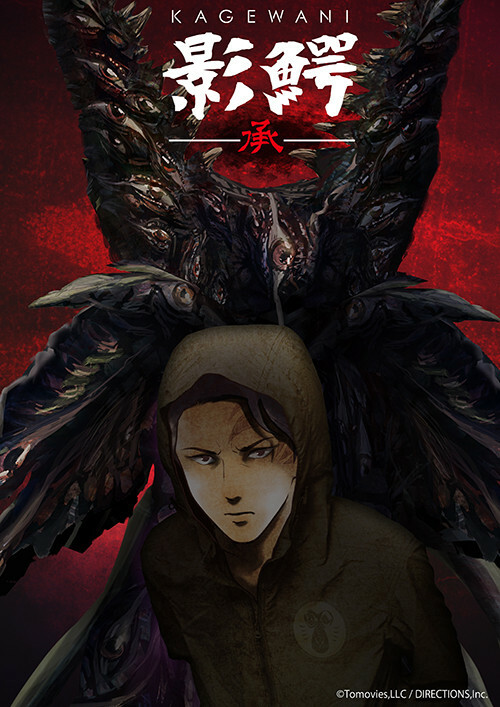 A continuation of the first KAGEWANI, the plot centers on mysterious monsters called “UMA” that suddenly appear and start attacking humans. 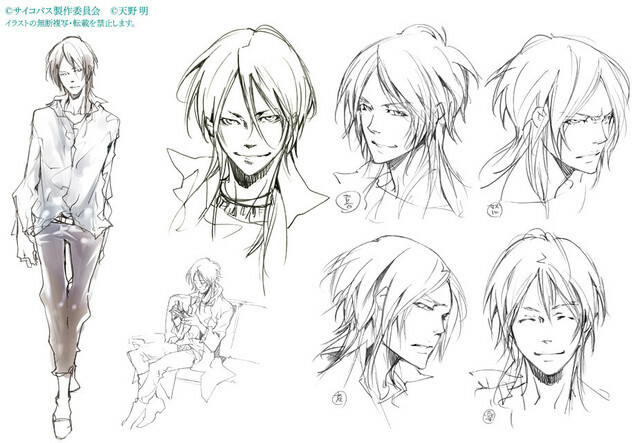 Scientist Sosuke Banba pursues the truth with the keyword “kagewani”, which means “Shadow Crocodile” in Japanese. Veteran voice actor Tomokazu Sugita, also known as Gintoki Sakata in Gintama, stars as the scientist Sosuke with studio Tomovies will be handing the animation production. More announcements just above this one! We’re back with more Spring season anime announcements! We’re excited to announce that Hundred will be premiering Mondays starting April 4th @ 11:45AM PST and will be available to Crunchyroll Members worldwide excluding Asia. "Hundred" - the only weapon capable of fighting the Savages, mysterious life forms attacking Earth. Hayato enters the battleship university Little Garden in hopes of becoming a Slayer... but his roommate Emile Crossfode, who seems to know a lot about him for some reason, awakens a sort of unsettling nostalgia within him. What's more, right after he joins the school, the strongest Slayer at Little Garden, the "Queen" Claire Harvey, challenges him to a duel! Misaki Jun and Ohkuma Nekosuke (Nitro+) are teaming up to bring you the ultimate school action anime! 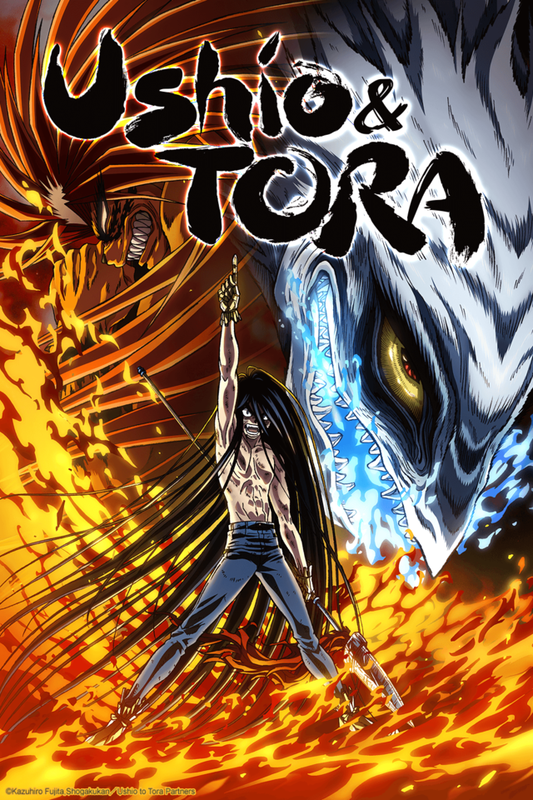 Our Spring season anime announcements continue today with the continuation of Ushio and Tora, which will air on Fridays starting April 1st @ 7:30AM PST and will be available to Crunchyroll Members in the following territories: USA, Canada, United Kingdom, Ireland, Australia, New Zealand, South Africa, Latin America, Scandinavia, Netherlands, Middle East/North Africa, and Europe (excluding France and French speaking and Italy and Italian speaking countries). Long ago, a ferocious monster terrorized the land, until a samurai, wielding the legendary “Beast Spear”, sealed him away. 500 years later, a middle school student named Ushio Aotsuki accidentally uncovers the monster in a hidden cellar under his family’s temple. The unsealed monster and the spear attract many other supernatural creatures to the temple and Ushio is forced to release the monster in order to defeat them. Ushio names the monster “Tora” and they unwillingly work together to battle other spirits and demons. Stay tuned for more Spring season announcements! 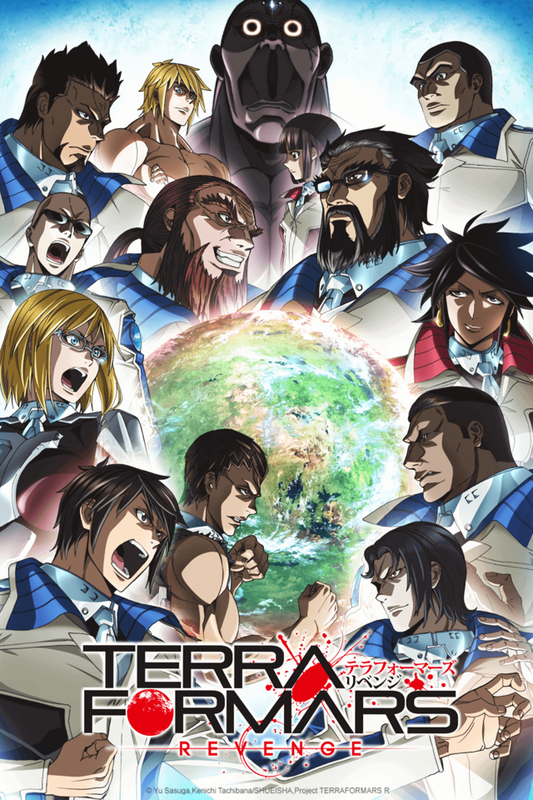 More Spring season announcements today, starting with TERRAFORMARS REVENGE, premiering April 1st (time TBA), and will be available to Crunchyroll Members in the following territories: US, Canada, AU, NZ, South Africa, Europe, Central/South America, Middle East. 2620 A.D. In order to find a vaccine for the virus from Mars with a death rate of 100% called the Alien Engine Virus, Hizamaru and the crew went to Mars to get a sample of one of the giant cockroach creatures, otherwise known as Terraformars. An unforeseen accident happens, and while Akari and the others fight the roaches to try to escape, humanity is fighting with each other behind closed doors. The ultimate story of survival with Mars as the background... Round 2 is about to start! 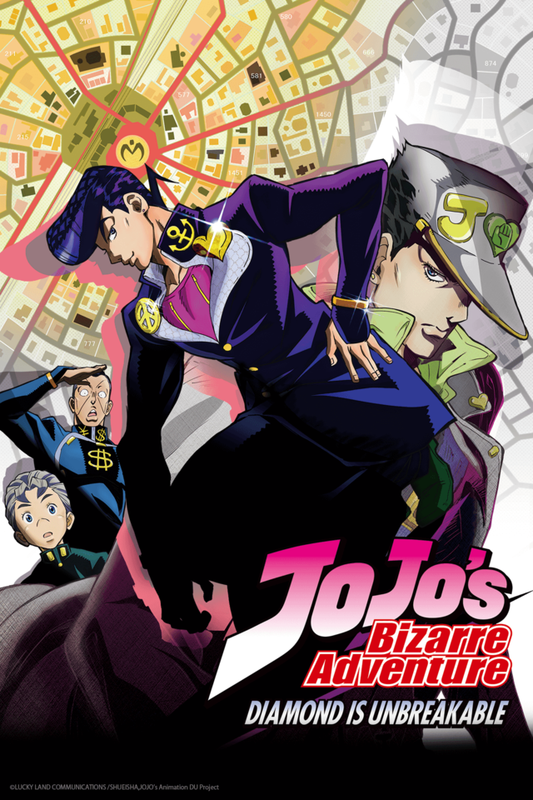 Our second announcement of the day is JoJo's Bizarre Adventure: Diamond is Unbreakable, premiering April 1st (time TBA), and will be available to Crunchyroll Members in the following territories: US, Canada, AU, NZ, South Africa, Europe, Central/South America, Middle East. Crunchyroll will have the exclusive simulcast premiere of each episode in US, Canada, UK, AU, NZ, South Africa, Netherlands, North Europe, Central/South America, Middle East. It has been 11 years since the defeat of the Joestar's arch nemesis, Dio. In 1999, Jotaro Kujo went to Morioh in S City in M Prefecture, Japan, to find his grandfather, Joseph Joestar's secret child, Josuke Higashikata. However, Josuke had the same ability as Jotaro, the Stand. And as though Jotaro was summoning them, a new group of Stand Users start to make their moves. There's something in this town... Josuke rises up to save Morioh, his hometown that he grew up in. We'll be back with more Spring season announcements tomorrow at 11AM PST! 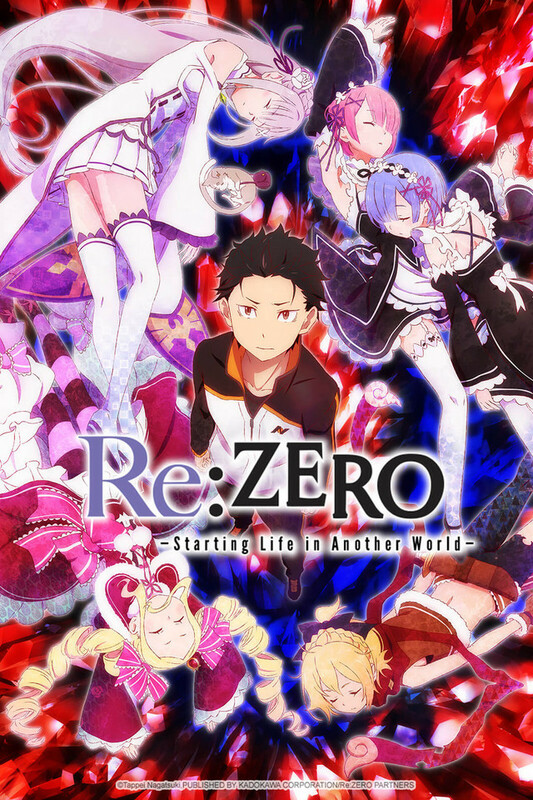 Our first announcement of the day is Re:ZERO -Starting Life in Another World-, which will premiere Sunday, April 3rd @ 11:35AM PST with following episodes airing Sundays @ 10:35AM PST and will be available to Crunchyroll Members worldwide excluding Asia. We'll be back at 2PM PST with another announcement! 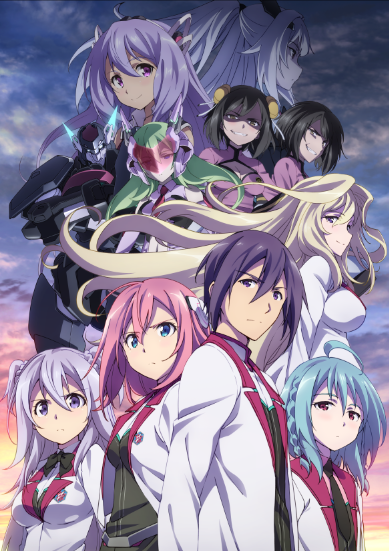 Next up on our lineup for Spring is The Asterisk War Second Season, which is premiering every Saturday starting April 2nd @ 8:00AM PST and will be available to Crunchyroll Members in the following territories: North America, Central America, South America, United Kingdom, Ireland, Australia, and New Zealand. Invertia--The astral catastrophe that annihilated many cities in the 20th century also gave birth to an all new human race with special abilities called the Genestella (the Star-Pulse Generation). At the same time, the special element (Mana) found within the meteors of Invertia facilitated humanity’s technological advancement. Upon Rikka, the academy-city above water, or what many call the “Asterisk,” students of the six schools prepare for the Festa. These annual comprehensive battle tournaments are held on a worldwide scale and each of the six schools place their hopes in their teams to bring them victory. In the Phoenix Festa (tag-team battle) category, Seidoukan Academy’s Ayato Amagiri takes up the challenge along with his partner Julis, the Witch of the Resplendent Flames (Glühen Rose). We'll be back tomorrow at 11AM PST with more announcements! 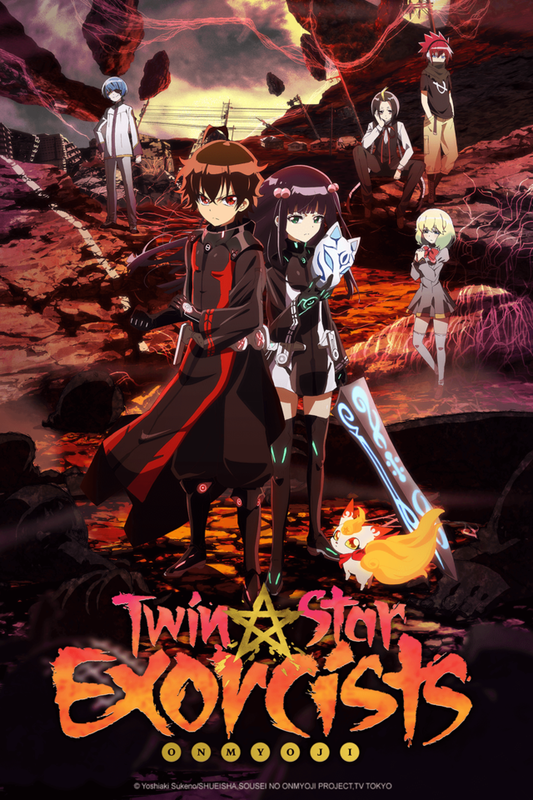 We're very excited to announce that Twin Star Exorcists will be premiering every Wednesday, starting April 6th @ 4:00AM PST and will be available to Crunchyroll Members worldwide excluding Asia. We'll be back at 3PM with another announcement! Spring season announcements are coming your way, starting with Anne-Happy, premiering every Thursday, starting April 7th @ 7:00AM PST and will be available to Crunchyroll Members worldwide excluding Asia. 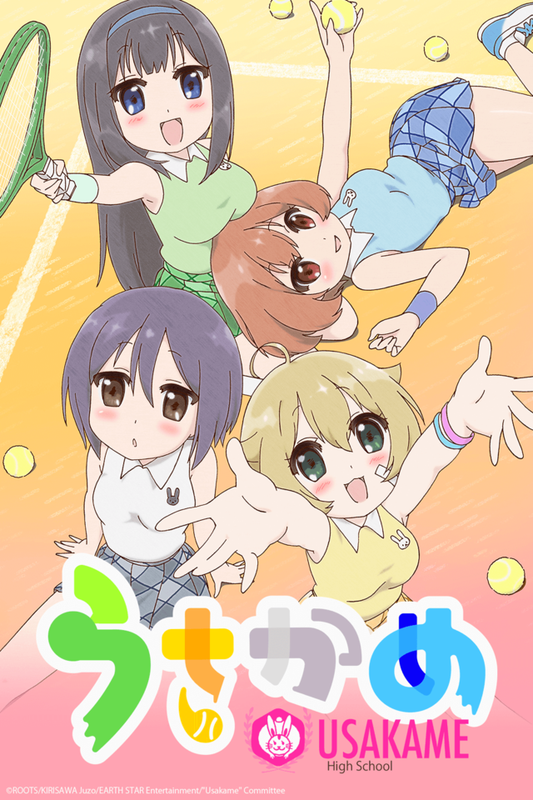 A group of pitiable girls live their days with energy and cheer in this encouraging school comedy. Happy Sunday everyone, and we've got the details on none other than for Studio TRIGGER's newest anime work and a Crunchyroll Original, KIZNAIVER! KIZNAIVER will be airing on Crunchyroll starting Saturday, April 9 at 8:30am PST for members worldwide excluding Asia and French and German speaking Europe. The story takes place in Sugomori, a city built upon reclaimed land that once prospered as a futuristic city. One high school boy living there, Agata Katsuhira, is somehow unable to feel any pain. 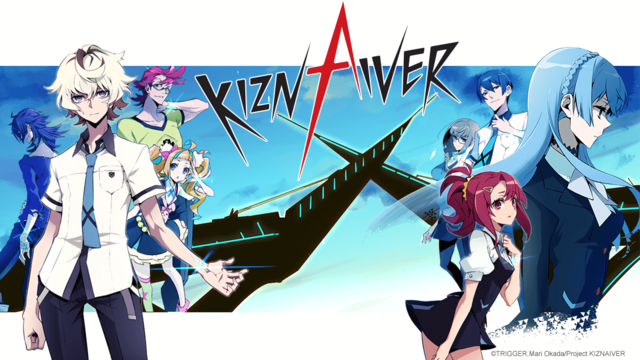 One day just before the start of summer break, Katsuhira is called by a mysterious girl named Sonozaki Noriko and chosen to become one of a group of people who share one another's pain: a "Kiznaiver." Several of his classmates have also been chosen as part of this group, but they're all people from different circles who normally wouldn't associate with each other. Sonozaki calls this an experiment for the purpose of guiding their battle-ridden world toward peace. After learning all this, many trials befall them one after another. The story of the summer experienced by these students chosen to bear one another's pain begins here! 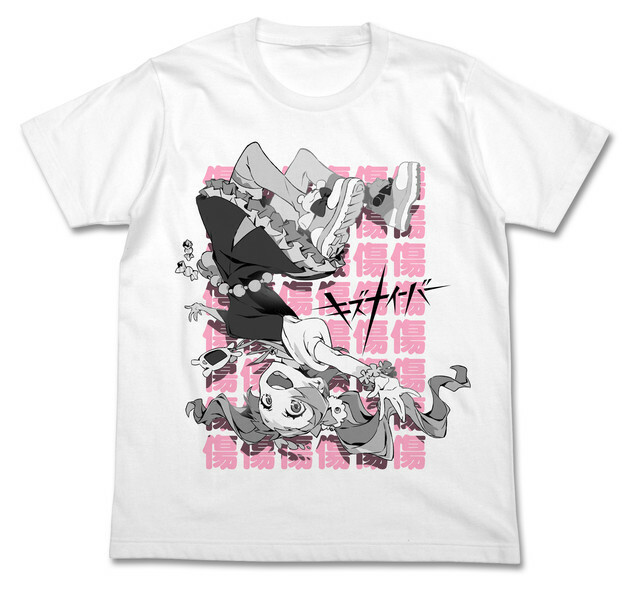 The Crunchyroll Store will also be selling some exclusive KIZNAIVER T-shirts from Cospa that won't be sold ANYWHERE ELSE, so don't miss out! The shirts will debut in the store on April 9 along with the first episode. Awesome! I am looking forward to it. In comparison to Netflix anime originals, is Kiznaiver more of a Knights of Sidonia or a Perfect Bones? It says "more TBA" under territories, so maybe it'll be? Anyway, I thought this was exclusive to CR outside Japan so it's strange if they end up missing territories. I know, right? Well, they explicitly mentioned that more regions will be announced later on, but I wouldn't be surprised if half of continental Europe got excluded again somehow for whatever reason. By the way, wasn't this indeed a so-called Crunchyroll exclusive? They are calling it a "Crunchyroll Original". If they are unable to announce all the territories of an exclusive title I think is safe to say they don't know what they are doing. I always look forward to Trigger's new anime. A good catch, CR. EDIT: unf, CR picked up every heavy hitter this season. I couldn't be happier. I'm kind of interested to see how this turns out after getting to see all of the voice actor interviews and behind the scenes stuff. And so, a new species of heart-broken sea creature has been born. No it would just mean someone else has more money to spend. Work hard, play hard, watch anime. They proudly announced it as an exclusive title 4 months ago and now they call it "Crunchyroll Original"
...Umm, should I apologize to you? I think I should. I'm sorry. Exclusivity is a pretty brutal/greedy tactic. The adjustment in wording is simply due to reading and adjusting to the community here, as I see it. I doubt anything in the license has changed on that wording. 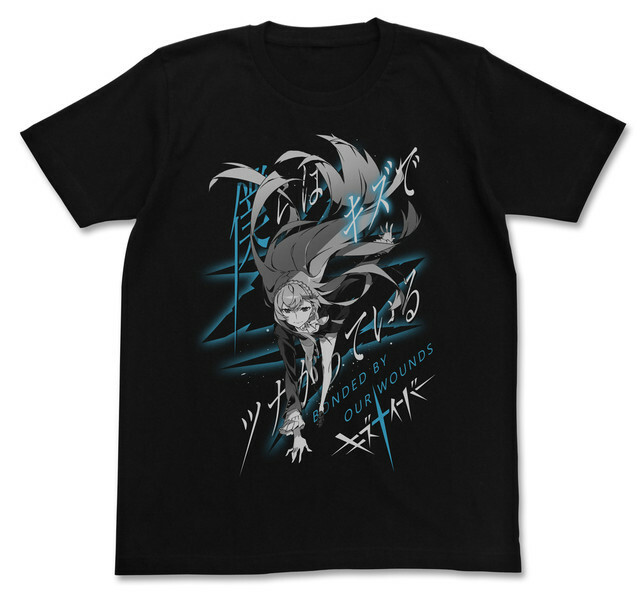 Indeed, they even annouced it as a Cruchyroll exclusive four months back: "Coming Exclusively to Crunchyroll: Kiznaiver". Now suddenly it's called a Crunchyroll Original and many European regions are still unclear. This definitely raises some eyebrows after their proudful announcement some time ago.